Two weeks ago President Obama rolled out a host of executive actions designed to curb gun violence. His proposals aimed to more clearly define who is in the business of selling guns, and to bolster the FBI and the Bureau of Alcohol, Tobacco, Firearms, and Explosives (ATF) so those agencies can more rigorously enforce gun laws. The actions drew outrage from critics on the right, who simultaneously blasted Obama for doing little of consequence and massive constitutional overreach. Under current federal law, domestic abusers are disqualified from owning firearms. Expanding on that foundation, two-thirds of states have their own statutes prohibiting gun possession by persons subject to domestic violence protective orders. 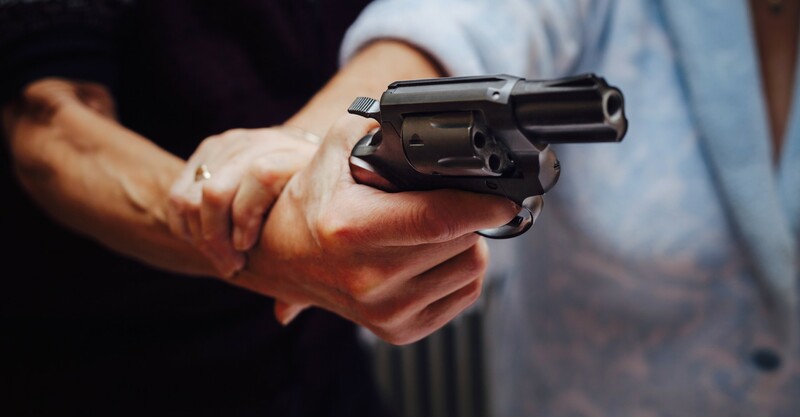 Twelve states add additional restrictions, explicitly barring those convicted of a domestic violence misdemeanor from firearm ownership. Federal law states that if you are a felon, you cannot buy a gun, nor can you hold onto a previously purchased firearm. Some states expand this definition to include some misdemeanors and other offenders. However, once a prohibited person is informed that they no longer have the right to possess a firearm, there is little meaningful follow-up at the state level. Indeed, in the vast majority of states, there is no mechanism through which law enforcement can repossess previously purchased firearms from felons. Instead, felons are expected to voluntarily hand over their guns to the authorities, or face new charges if they are caught with a firearm in the future. In other words, states essentially rely on an honor system to ensure that these criminals are disarmed. California is the only state that makes a concerted effort to verify that felons and other prohibited persons do actually surrender their firearms, though even this effort is marred by a lack of resources and budget constraints. The danger in allowing criminals to hold on to their guns is clear: felony arrests,domestic abuse, and even previous misdemeanor convictions are a major risk factor for committing future violent and firearm-related crimes. Data from the Centers for Disease Control and Prevention shows that between 2007 and 2011, an average of 62 children age 14 and under were accidentally shot and killed each year (and other tallies put that total at more than 100). These deaths, however, are rarely prosecuted. In effort to curb accidental shootings, 27 states have passed child access prevention (CAP) laws, which are designed to crack down on negligent adults who endanger children. But in most states with CAP laws, adults are charged with a misdemeanor rather than a felony, and so the statutes don’t serve as much of a deterrent. One statistical analysis of CAP laws found that only in Florida — one of three states that allow felony prosecution of CAP violators — was there a significant decrease in unintentional firearm deaths of children following the passage of the rule. When the FBI runs a background check on a gun purchaser, it relies on the records contained in the National Instant Criminal Background Check System (NICS). One of the problems with this system is that the NICS index is composed of records that are voluntarily provided by state and local agencies. There is no mechanism in place requiring states to furnish records relevant to predicting gun violence. More than 100,000 people were denied gun purchases by the NICS system for addiction to controlled substances over 17 years, and nearly 19,000 were disqualified for mental health issues. However, rather than demonstrate the success of the current system, it illustrates the magnitude of the problem. Despite Republicans’ repeated protestations that mass shootings are largely a mental health issue — which is mostly false — many states still fail to submit significant numbers of mental health records to the national background check system. While mental health records in the NICS database increasedmore than 700 percent between 2007 and 2014, 12 states have submitted fewer than 100 records each. A report by Everytown for Gun Safety found that substance abuse records are also frequently underreported. Collectively, this means millions of missing records which could otherwise flag individuals who are prohibited from purchasing a firearm.